The move came after an unprecedented Beijing meeting that included a group of Vatican officials led by Pope Francis’ chief China negotiator, Archbishop Claudio Maria Celli; Chinese bishops jointly recognized by the Chinese Catholic Patriotic Association, run by the ruling Chinese Communist Party; and a group of Vatican-appointed bishops from the so-called underground church, which only recognizes the authority of Rome and not the patriotic association. “The latest trip of the delegation of the Holy See to China is especially important because, for the first time, it was concentrated on the life of the church in China, and no longer on formal diplomatic-political issues,” Francesco Sisci, a senior researcher at Beijing’s Renmin University and former correspondent for Italian media, told Catholic News Service. Chinese state media announced Dec. 14 and CNS confirmed that Bishop Zhan Silu becomes head of Mindong Diocese. 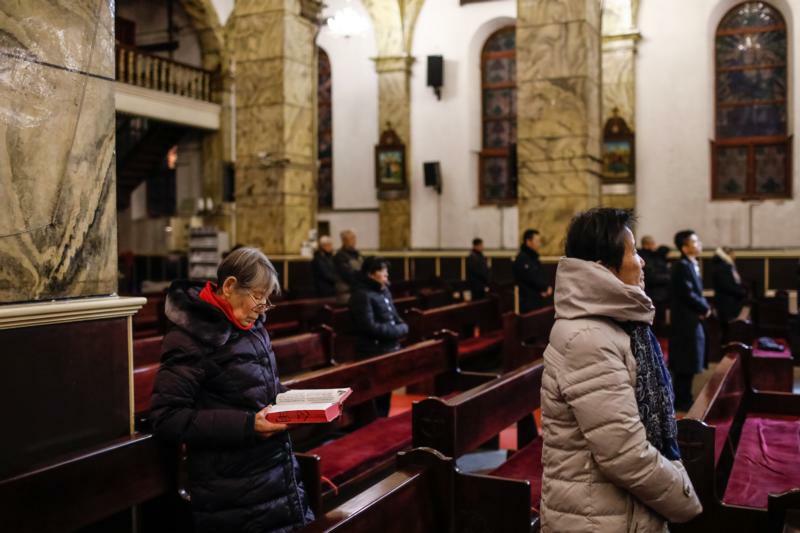 Vatican-appointed Bishop Guo Xijin, who has headed the Mindong Diocese since 2006 and who has been detained by authorities a number of times in the past year, has finally agreed to step down to the position of auxiliary, a request first made by the Vatican in late 2017. Bishop Zhan is the vice chairman of the Bishops’ Conference of the Catholic Church in China that is yet to be recognized by Rome and is one of seven state-appointed bishops recently recognized by the pope as part of the Sept. 22 provisional agreement between China and the Vatican. Bishop Huang Bingzhang becomes head of Shantou Diocese. There has been no report on the situation of Bishop Zhuang Jianjian, 88, who was the bishop of Shantou from 2006 and was asked by the Vatican in late 2017 to retire and take up a post of bishop emeritus. At the meeting, a range of issues were discussed, including the need to find more candidates for the priesthood to fill China’s emptying seminaries. The September agreement between the Vatican and China, which has been characterized as provisional and temporary, gives the Vatican complete control over the nomination of bishops, according to Pope Francis, who has noted that, with every “peace treaty” and every negotiation, “both sides lose something.” Although the full content of the agreement remained secret, it did include recognition of seven bishops appointed by the patriotic association but previously not confirmed by the Vatican, lifting their excommunications. The fate of up to 30 other bishops who refused to join the patriotic association remains unknown. Sisci said that, during the December meeting, Archbishop Celli, the man in charge of the issue since the time of St. John Paul II, mediated between two bishops, one underground and one who approved by the government. He added that this was something China had tried to do on its own for many years but failed. The Vatican and Beijing have emphasized that the agreement is very much focused on religion rather than politics, a difficult distinction to make in China, where the ruling Communist Party exercised control over all religion and religious activities via its state-run organizations, which are now all under the umbrella of the Communist Party’s United Front Work Department. “In some dioceses, the situation is easier, while in others, it will be more complicated. The Vatican and China will have to tackle each situation differently,” she said.